The Navy Card Holder & Purse for ladies is a must have accessory for any woman on a mission out there. The Estella Bartlett Card Holder and Purse is crafted from navy faux leather and features an embossed text in gold that reads woman on a mission. 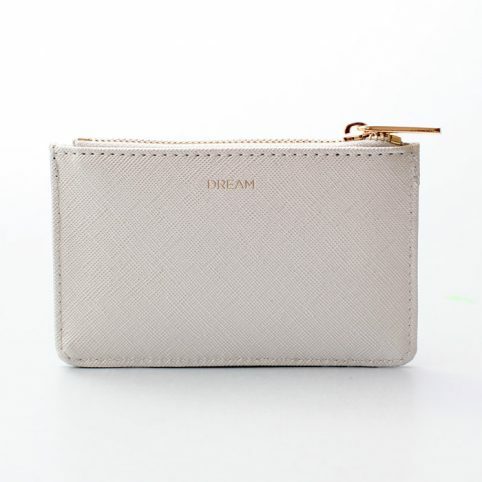 It has 4 external card slots and a zip closure to keep your cards and cash organised in a stylish carrier. Makes a lovely gift to any confident woman on a mission out there. Categories: Accessories, Bags & Purses, Gifts, Gifts For Her, Gifts From £10 - £20, NEW, Purses, Travel.